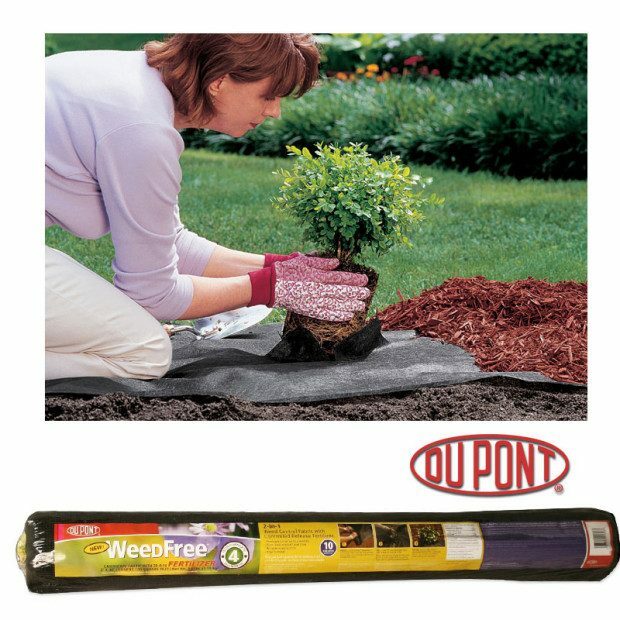 Weed Free Fabric With Fertilizer Only $12.49 Plus FREE Shipping! You are here: Home / Great Deals / Weed Free Fabric With Fertilizer Only $12.49 Plus FREE Shipping! Get your garden started now! Eliminate weeds without using chemicals and fertilize your plants with DuPont Weed Free Landscape Fabric! Weed Free Fabric With Fertilizer Only $12.49 Plus FREE Shipping is key for getting your best garden ever! Made with 28-0-14 controlled release fertilizer, this fabric will feed plants up to 4 months while maintaining reliable weed control!